Do you remember when you were in grade school and you suddenly came across your teacher out of school, in the supermarket or at a ball game, and you were completely tongue-tied, not fully realizing until that moment that they had lives out of the schoolroom? Well, admissions officers also have lives and careers to manage, and sometimes they have to competitive apply for stuff too, as this advertisement for the post of Executive Director of Full-Time MBA Admissions at the University of California Berkeley shows. The job spec opens an interesting window on what is seen as required to lead an Admissions office at a top business school, and is therefore worth a read by MBA applicants to Haas and beyond. The demands of the position are a bit more varied than the uninitiated might have guessed, and the competitive pressure is clear. Key takeaway: These are busy people juggling important, multifaceted responsibilities. They are working in teams all the time. They are better at marketing and communication than you might think. So apply cogently. Make your value clear. Don’t try BS them or waste their time with trivia. Help them to help you. The Executive Director, Full-Time MBA Admissions manages the admissions, recruitment and financial aid functions for the Haas School of Business Full-Time MBA Program. The overall purpose of the position is to develop long-term strategic plans and to oversee the successful implementation of all efforts related to admissions and marketing of the school’s Full-Time MBA program. The Executive Director’s role is to enroll approximately 240 bright, diverse, and innovative business leaders. The successful candidate provides leadership with forecasts, analyses, strategic options, advice and recommendations regarding admissions strategy and enrollment planning. Within the Full-Time MBA Admissions office, the incumbent has direct management responsibility for administration, budgeting, personnel, and works closely with our Marketing & Communications unit on media and publications, public relations and marketing strategy. S/He meets regularly with the dean, faculty, staff, students, and other Haas School constituents in developing strategies for these areas. The Executive Director represents the School to campus administrative units, serves on campus-level policy setting and advisory committees as needed and acts as liaison for the Haas School with central campus administrative units. Develops, interprets, and administers admissions and recruitment programs, as well as the financial aid program supporting Haas graduate degree programs. 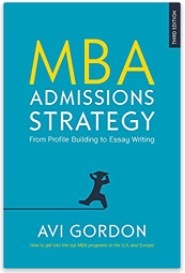 · Develop annual admissions plan for the Full-time MBA program. · Oversee admissions processes and procedures. · Develop overall strategy and oversee implementation of all recruitment, marketing, and financial aid activities. · Deliver presentations about the program and represent the School at domestic & international admissions events. · Evaluate and select students for Haas program, including reading/reviewing applications for admission, interviewing MBA candidates, providing a written assessment of each applicant, making final admissions decisions, and determining the composition of the MBA classes. · Analyze and report on admissions statistics throughout admissions cycle and in annual reports to the administration, faculty, and Haas Advisory Board. Provides direction to subordinate managers and/or supervisors. Responsible for developing and implementing budgets for managed functions. Develop and maintain relationships with students and alumni. Stay closely connected with campus units such as the Graduate Division and related Berkeley and other UC MBA programs to share leads, ideas, and best practices. · Advanced knowledge of education theory, policy, practice, and evaluation. · Significant knowledge of evaluation methodologies, data analysis procedures, and systems necessary for working with technical staff to develop effective data management and evaluation systems. · Advanced knowledge of fiscal management policies and practices and University personnel management policies and practices. · Strong leadership and supervisory experience. · Strong background in marketing including knowledge in both traditional marketing functions as well as social media. · Demonstrated commitment to outstanding customer service and professionalism. · Excellent interpersonal, organizational, public relations and written and oral communication skills. · Experience in recruiting, marketing, financial aid, outreach and/or career services. · Knowledge of academic business programs. · Significant knowledge of the goals and mission of the University and the Haas School of Business as they relate to academic preparation, recruitment, and advanced-standing admission. · Significant knowledge of UC Berkeley Colleges and schools. · Significant knowledge regarding UC Berkeley’s graduate admissions policies. This position requires 35% domestic and international travel. The University of California, Berkeley is an Equal Opportunity/Affirmative Action Employer. Disingenuous is perhaps the best way to dicsrebe the admissions process at a number of elite US colleges and universities a practice I’ve come to see for what it truly is: a rigged system favoring legacy, privileged kids who have been groomed, counseled and coached at great expense , wealth and influence .along with a smattering of under represented minorities (URMs) to round out the class. 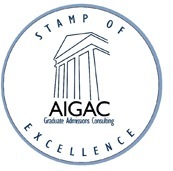 For those deserving, humble students from lesser means with impeccable academic credentials who offer no hooks and don’t fit the stereotypical profile of an elite college Noah’s Arc (and therefore do not gain admittance), the admissions process is an unsettling and disheartening reminder that life is anything but fair!